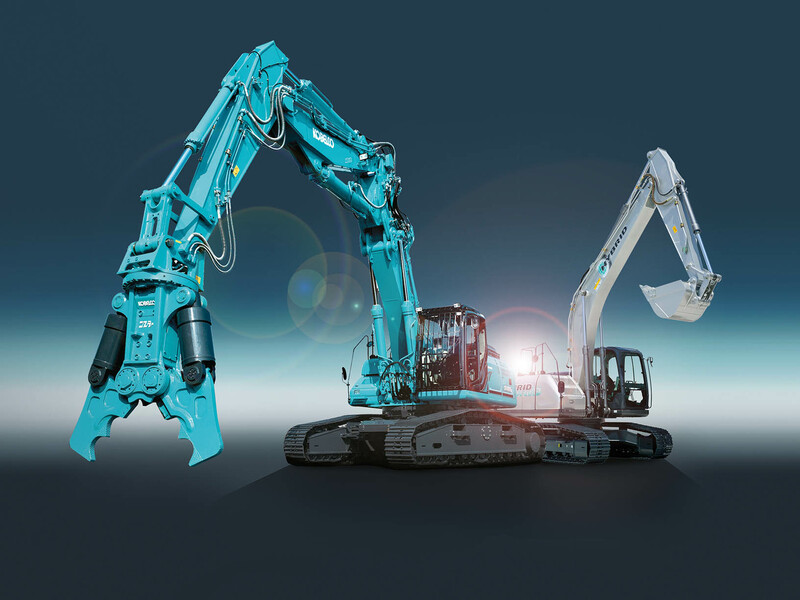 Introducing our next generation champions - Kobelco Construction Machinery Europe B.V.
With just two weeks to go, we’re getting increasingly excited about the BAUMA exhibition – particularly as we’ll be showcasing two new Kobelco models on our stand. If you’re heading to the event this April, you can be among the first to see the all-new SK400DLC-9 Building Demolition Machine and the Hybrid in the flesh. The new demolition machine offers safe and speedy disassembly and reassembly (NEXT system) due to its boom connection method. The attachment piping is also side-mounted and accessible from the ground for easy maintenance and longevity. The NEXT system also makes transportation easy because of the reduced height of the ultra-long attachments (when collapsed) and the separate boo. Transportation is further enhanced due to the hydraulic adjustable undercarriage and detachable counterweight. While many construction machinery manufacturers launched hybrid models to market some time ago, it was actually Kobelco who first pioneered the hybrid concept in Japan. Development of our hybrid concept began in 1999 and we unveiled the world’s first hybrid at Intermat in 2006. Global sales of the SK80H-2 began in 2010. The all-new Hybrid model will arrive in Europe in 2017 and it is expected to offer exceptional fuel consumption and lower CO2 emissions without compromising performance. We can’t wait to hear what you think!